K–12 teachers visit the B.B. King Museum and Delta Interpretive Center in Indianola, Mississippi. Image courtesy of the Delta Center for Culture and Learning at Delta State University. 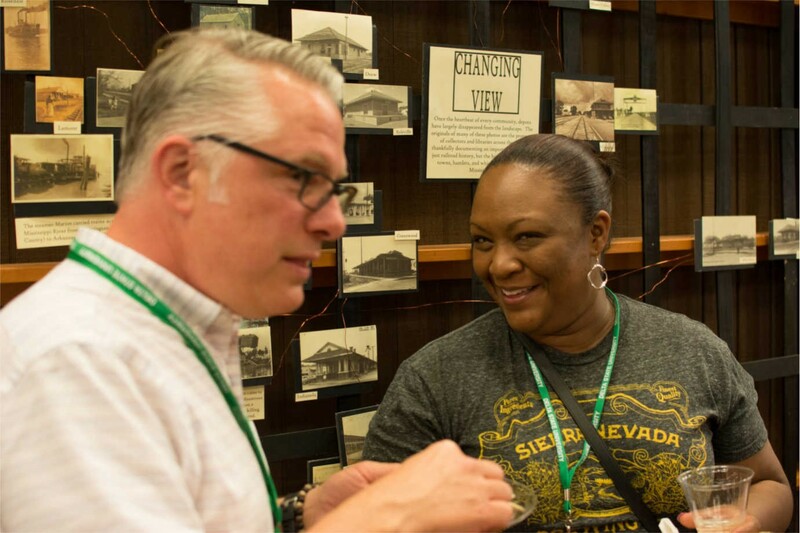 With NEH support, the Delta Center for Culture and Learning at Delta State University has provided engaging professional development workshops to more than 600 K–12 educators. 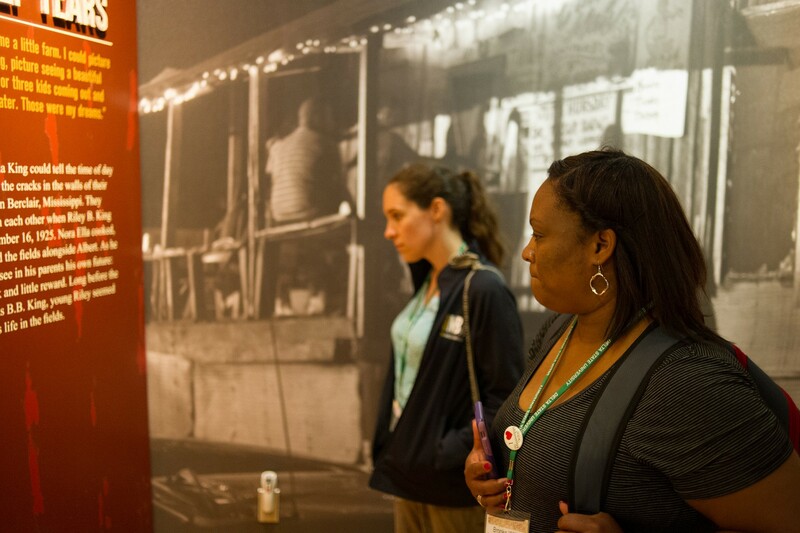 Over the course of six days, teachers examine the Delta's past and present, experientially and intellectually, focusing especially on the region’s place in the Civil Rights Movement and the development of blues music. They listen to local musicians, walk the landscape, and eat regional cuisine at local restaurants; they attend scholarly lectures and panels led by civil rights activists and FBI agents. When they return to their classrooms around the country, the teachers bring not only a new appreciation for the Mississippi Delta’s role in our national history and culture, but also new methods—focused on food, music, and landscapes—by which to teach regional history to their students. Teachers come from across the United States and from Department of Defense schools around the world. Teachers come from rural and urban backgrounds, and they work in public and private schools and homeschools. Across the board, participants must show that these workshops will have an impact on their teaching and that they, in turn, will have an impact on their schools and communities. 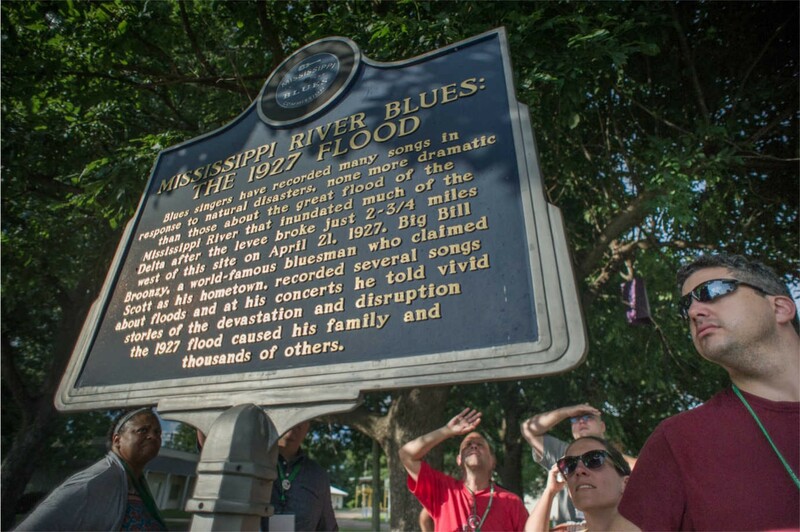 A 2019 review* of “The Most Southern Place on Earth: Music History and Culture of the Mississippi Delta,” conducted by the National Humanities Alliance, reveald that, for many of the participants, this is a life-shaping experience. They return to the Delta with their families and their students. One hundred percent of respondents to an online survey said that "Most Southern" helped them grow as an educator, with 43 percent indicating "transformative growth" and 51% indicating "significant growth." Participants at the open reception for The Most Southern Place on Earth. Image courtesy of the Delta Center for Culture and Learning at Delta State University. 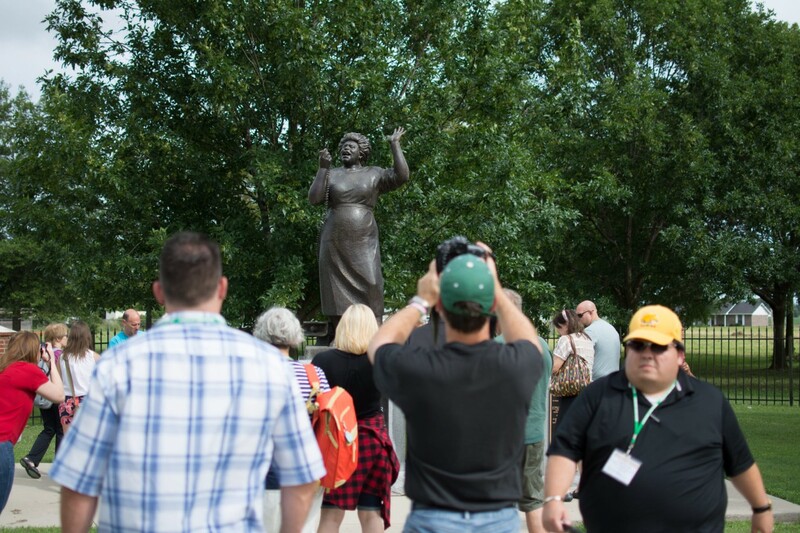 Teachers visit the Fannie Lou Hamer Memorial Garden. Image courtesy of the Delta Center for Culture and Learning at Delta State University. Teachers view a tombstone at the Live Oak Cemetery, a historic African American burial ground in Greenville, Mississippi. Image courtesy of the Delta Center for Culture and Learning at Delta State University. 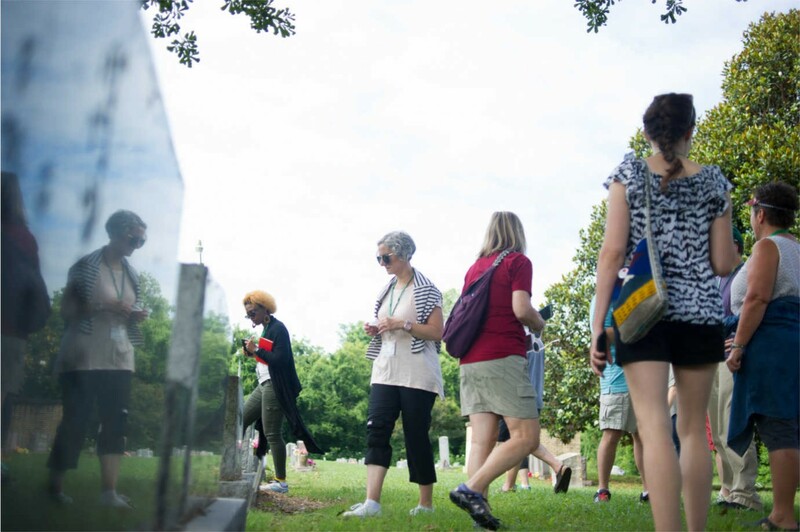 Teachers explore the Chinese Cemetery in Greenville, Mississippi. The historic burying ground for the town's Chinese American community is located across the street from Live Oak Cemetery. Image courtesy of the Delta Center for Culture and Learning at Delta State University. Teachers view a flood marker on the Mississippi River Blues trail. Image courtesy of the Delta Center for Culture and Learning at Delta State University. K–12 teachers attend a lecture as part of The Most Southern Place on Earth. Image courtesy of the Delta Center for Culture and Learning at Delta State University. They find a community of educators, continuing to communicate with one another and presenting what they learned at professional conferences. “We bounce ideas off of each other for our classrooms and help read each other's applications for other professional development experiences," says one participant. "These connections were life-changing because I love being a part of a group of Educators that is as dedicated to teaching as I am.” The program has a lasting impact on teachers' professional lives, revitalizing them and reducing burnout by providing them with new ideas and support for years to come. Film courtesy of the Delta Center for Culture and Learning at Delta State University. The teachers, in turn, have an impact on the region. Some teachers have brought their students to the Mississippi Delta—others have led students in the exploration of their own hometowns.The Most Southern Place on Earth is part of the Delta Center's larger work managing the Mississippi Delta National Heritage Area, which generated a $677.4 million regional impact in 2017 working with various local partner organizations. 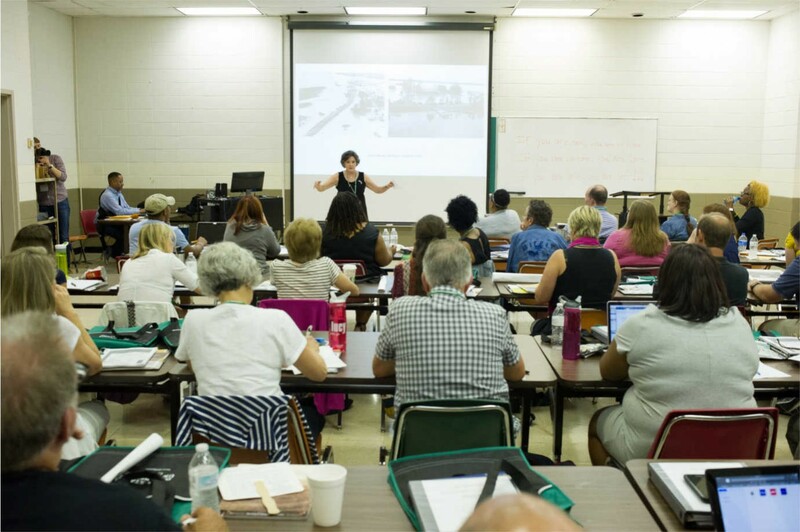 These workshops contribute to tourism development and visitor expenditure in the region while the teachers, upon returning home, act as ambassadors for the Mississippi Delta, promoting its history and culture nationwide. *One hundred thirty-seven alumni—20 percent of all past participants in the program—responded to an online survey assessing the impact of their participation. Of respondents to a survey on “The Most Southern Place on Earth” said that the program helped them grow as an educator.